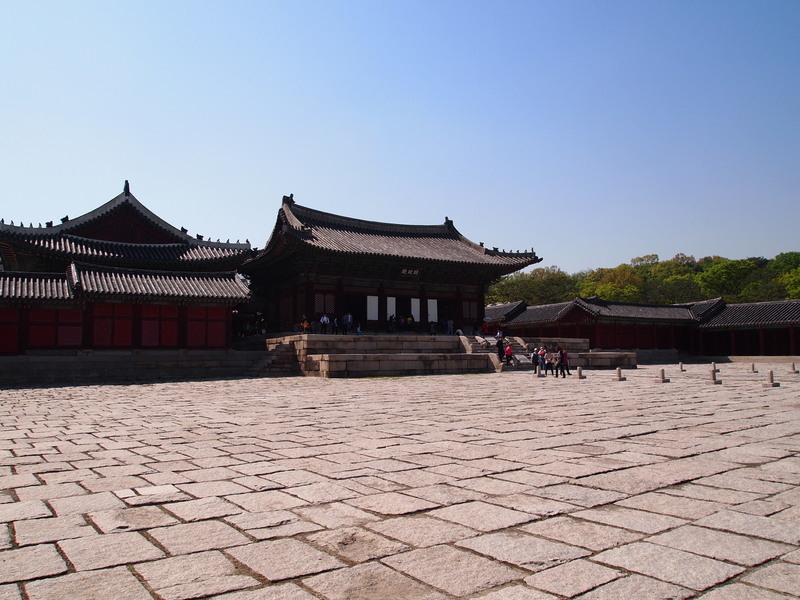 Last weekend we visited our fifth and final palace in Seoul, Changgyeonggung. 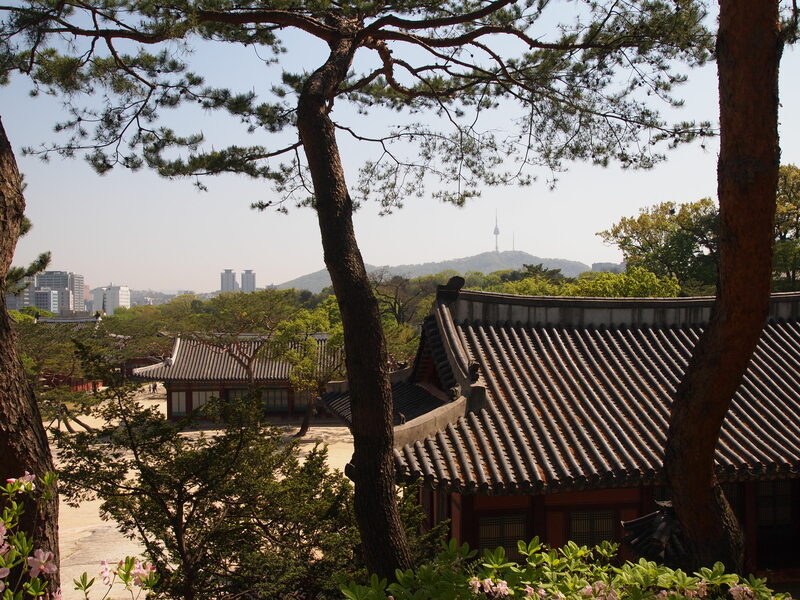 Changgyeonggung was built as a residence for King Sejong’s father, King Taejong, in 1418. 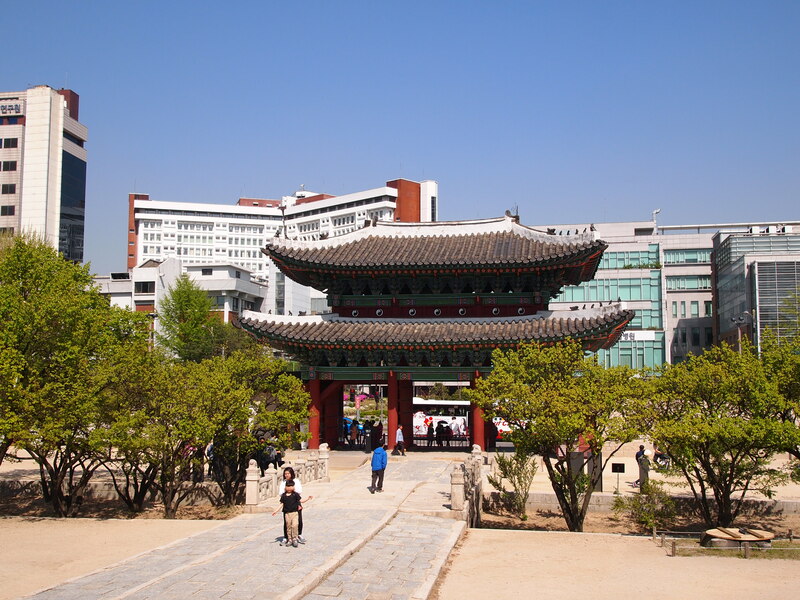 During the Japanese invasions between 1592-1598 the palace was burned. 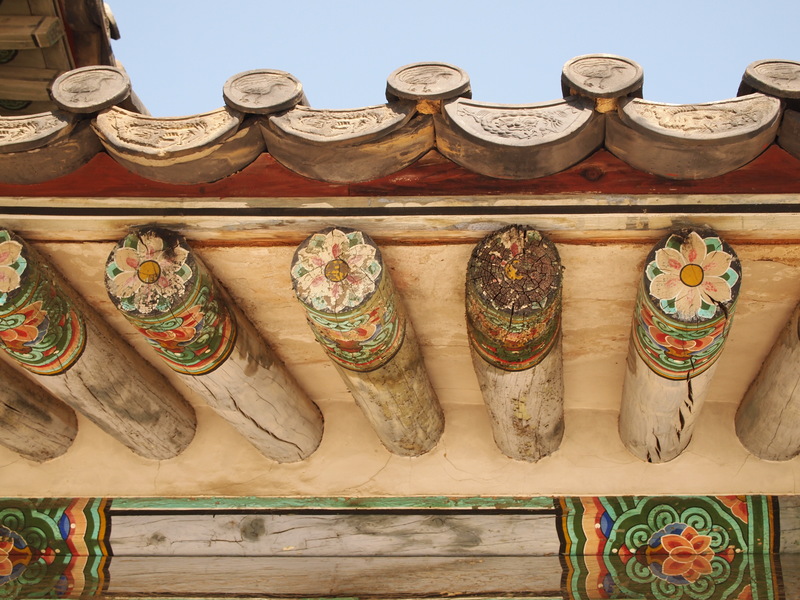 It was later rebuilt in 1616. 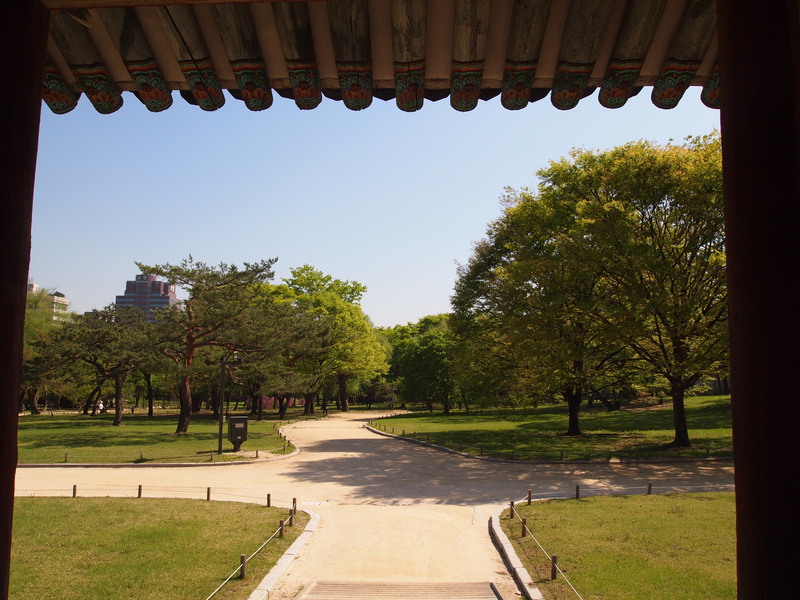 Changgyeonggung and Changdeokgung shared the back garden (Huwon) and were collectively known as the East Palace. 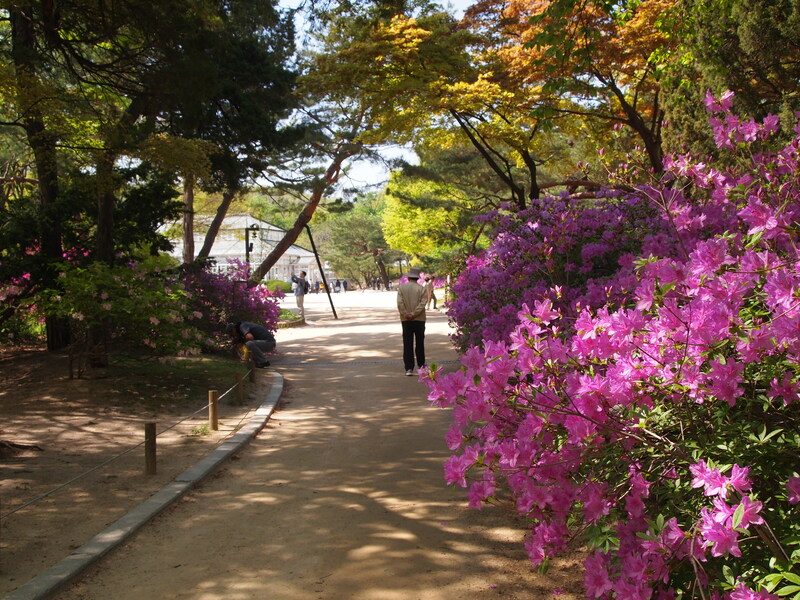 When Korea’s last emperor moved to Changdeokgung in 1907, Changgyeonggung was transformed into a park by the Japanese. 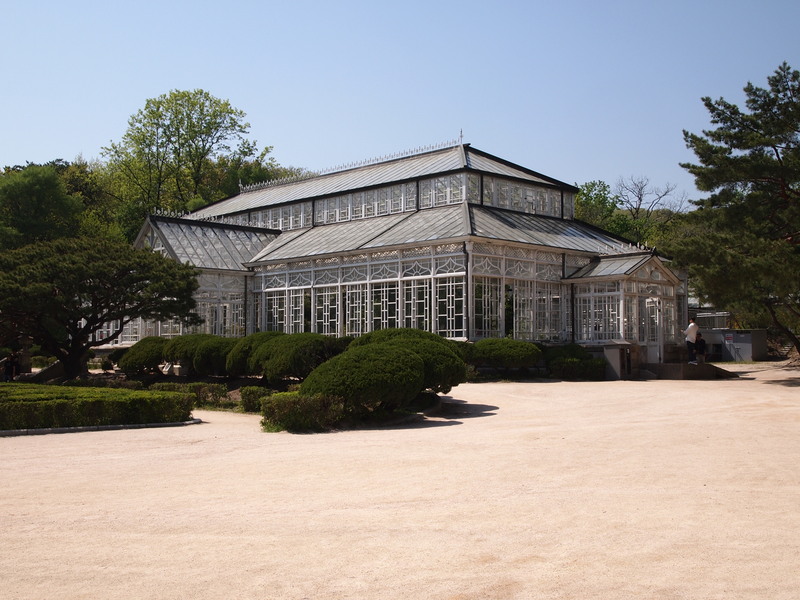 It even had a zoo! 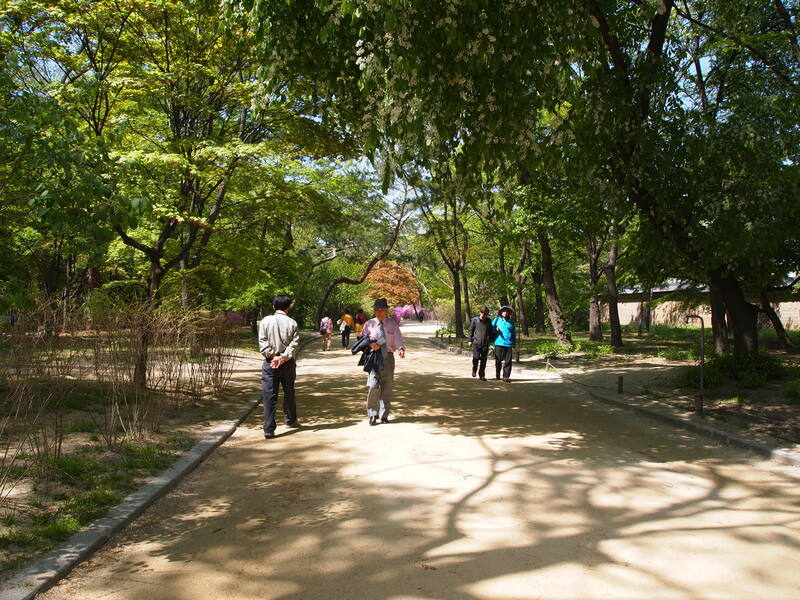 The demotion of the palace to a park was seen as a great offense, and the presence of wild animals on the grounds was insulting. 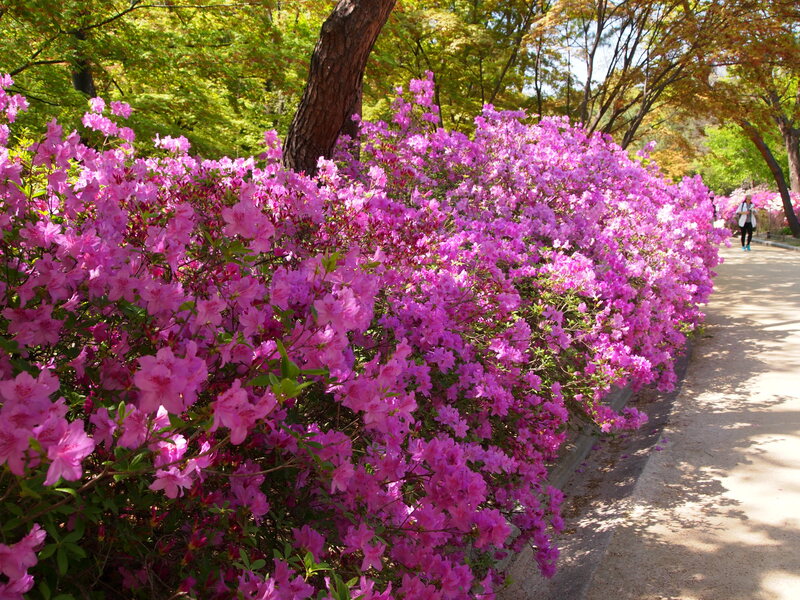 It wasn’t until 1983 that the zoo was removed and Changgyeonggung was given its status as a palace again. 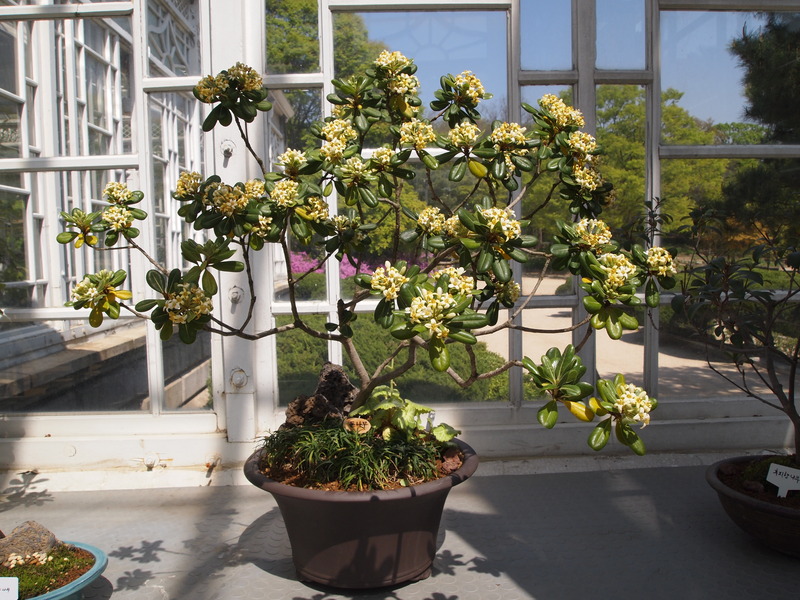 However, the palace still feels more like a park and a botanical garden is still present. 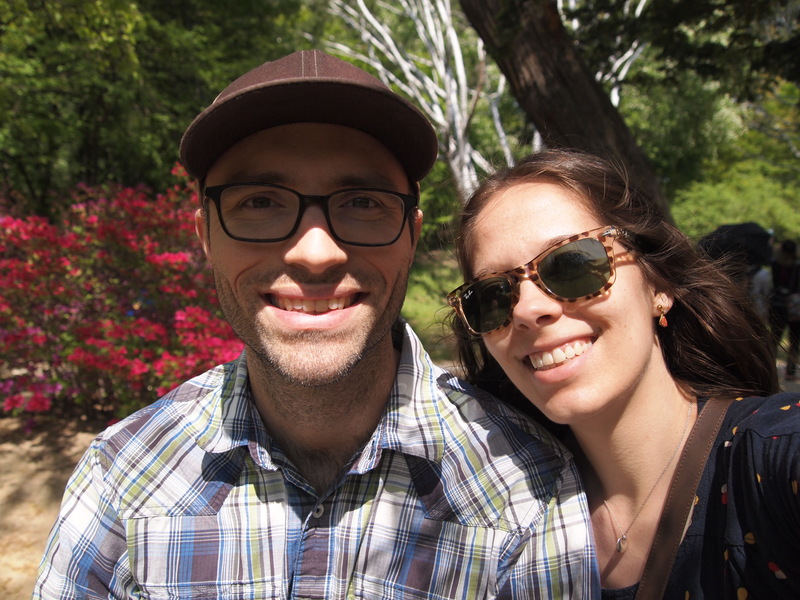 The park was my favorite feature of the palace and really the only reason I wanted to visit. 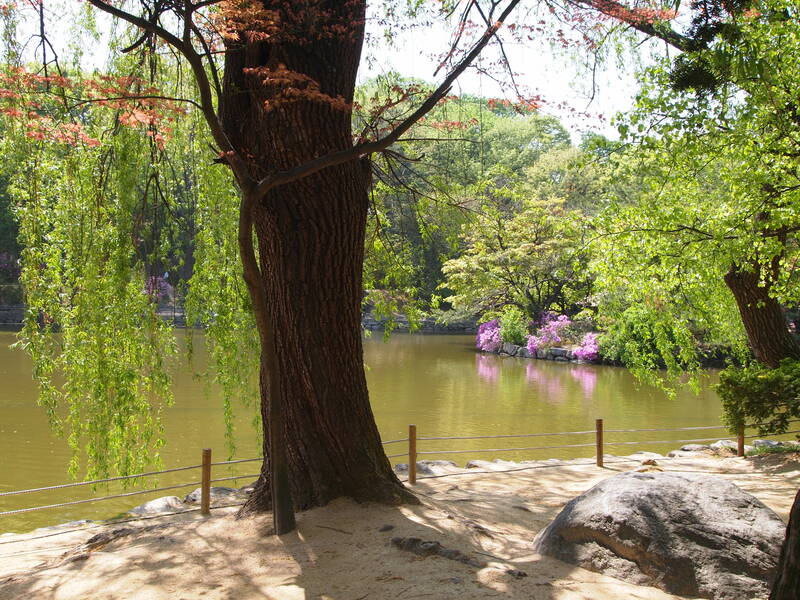 For the 1,000₩ admission I would go back just to walk around the park again. 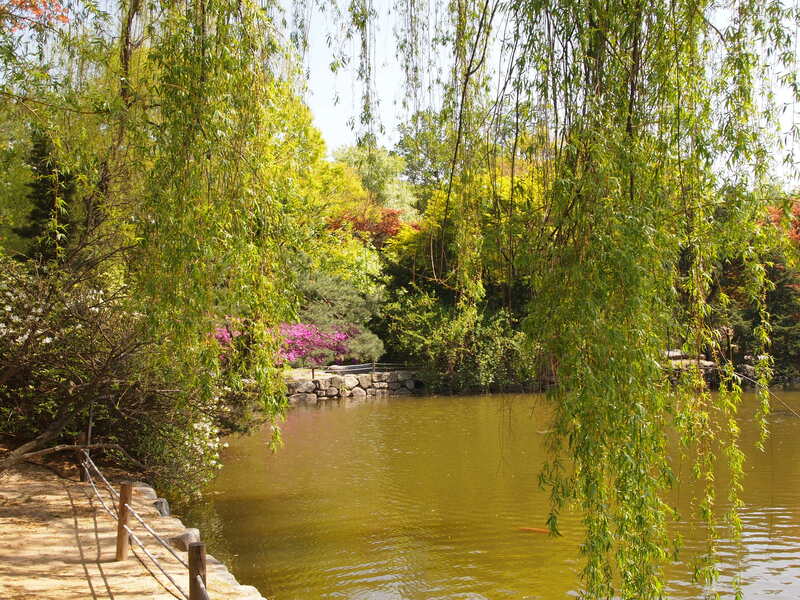 Chundangji Pond was once a royal farming plot but was replaced with a pond by the Japanese. 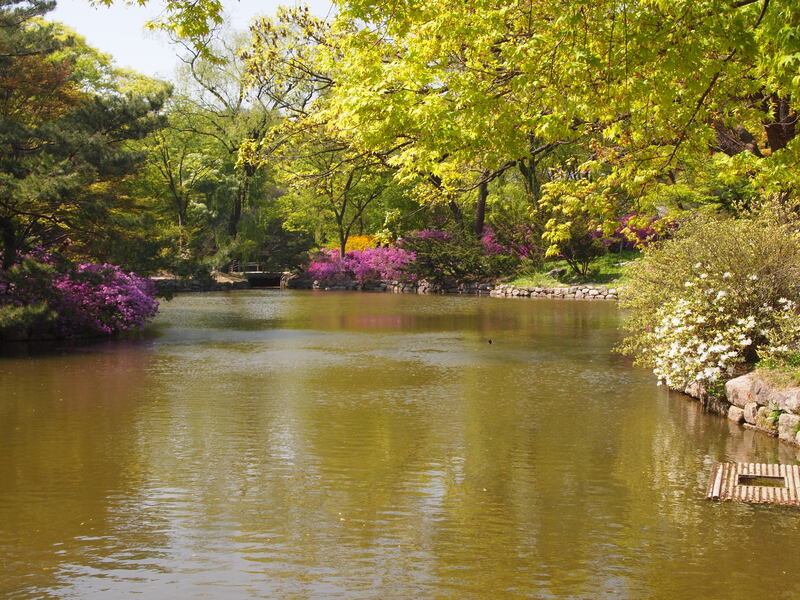 I thought the pond was really lovely. 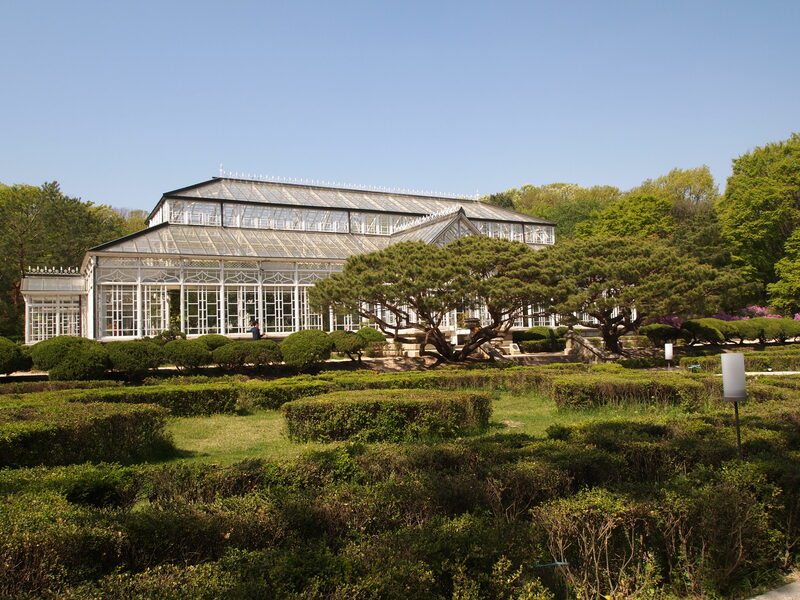 Daeonsil (great glass house) housed the botanical garden that was added in 1909. 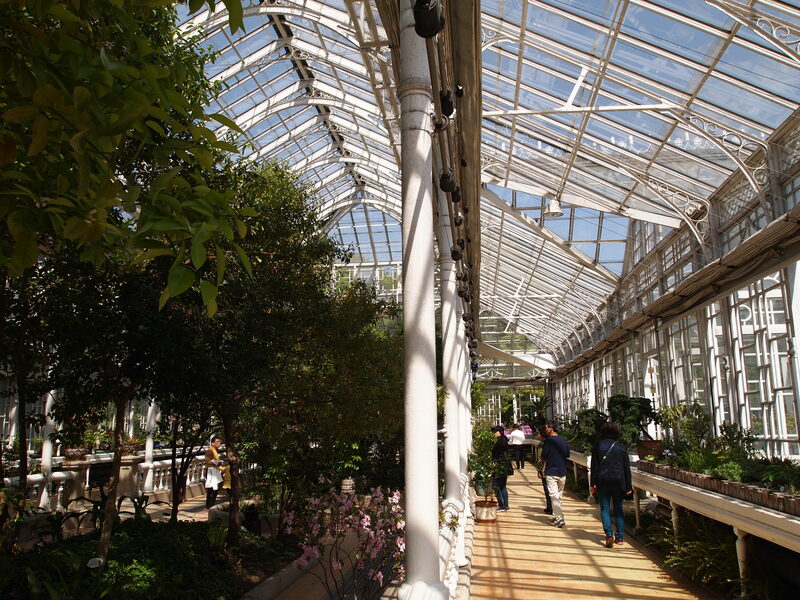 It was modeled after The Crystal Palace in London and is still used today. 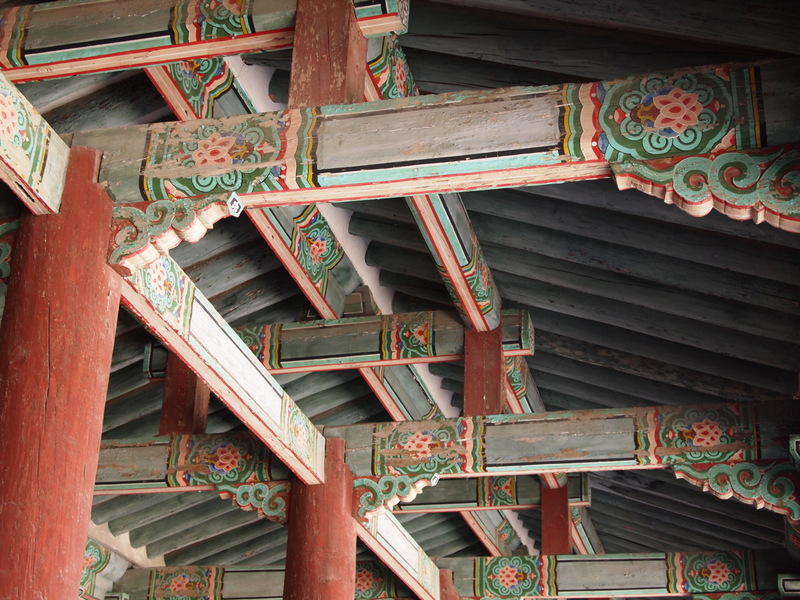 It looked like it could use a little TLC but was an interesting change from the Korean architecture usually on display at the palaces. 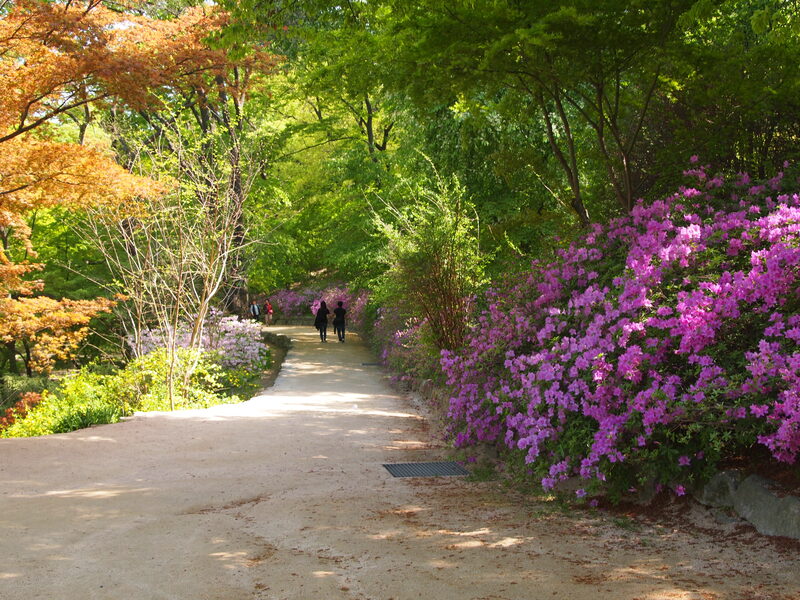 Changgyeonggung’s spring beauty was an unexpected surprise and we both enjoyed strolling through the park. We briefly took a look at the buildings that are on the grounds but as is usual, they are simply husks of the history that once occurred. 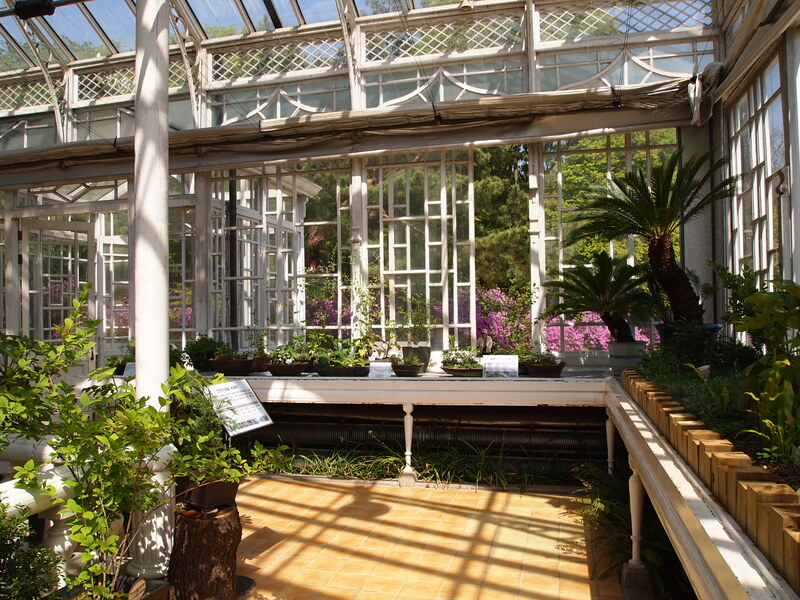 Most of the buildings were rebuilt after another fire in 1834 and were restored in the 1980s. 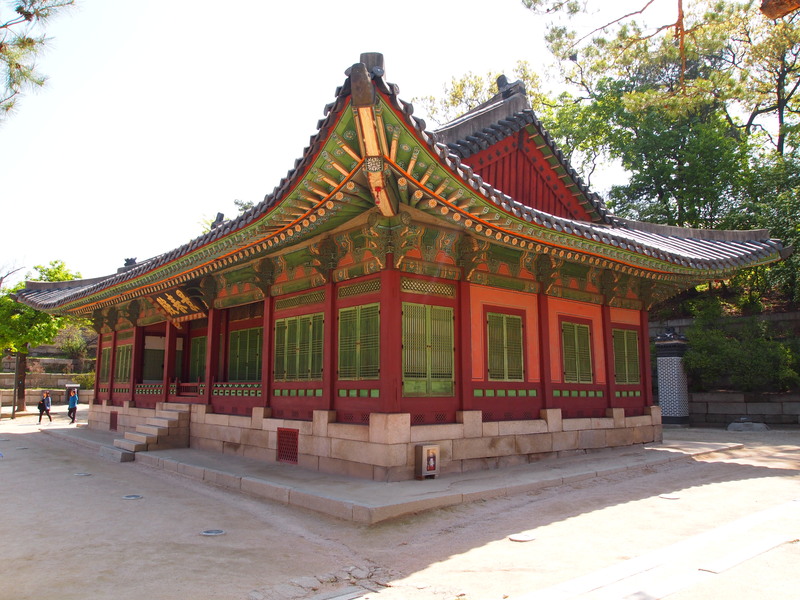 There are only three structures that date back to the 1616 rebuild: Myeongjeongjeon, Myeongjeongmun, and Honghwamun. 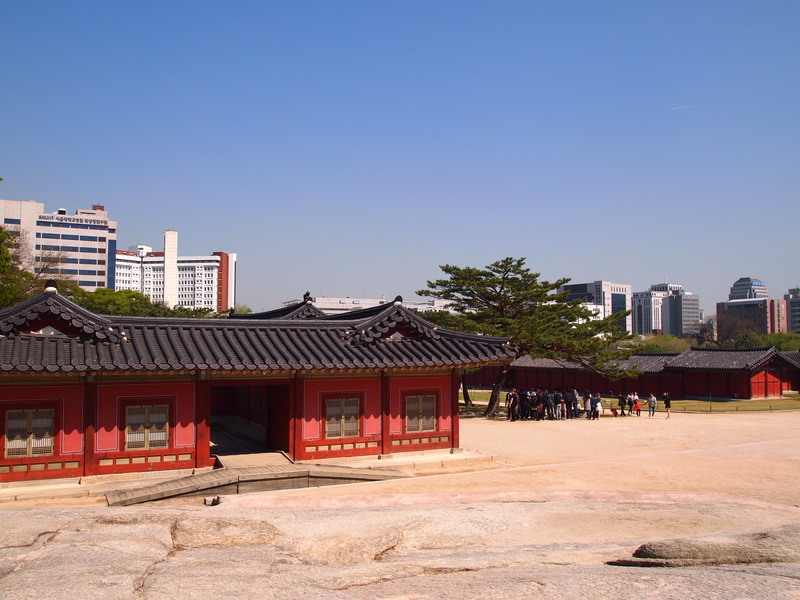 The palace’s most interesting history is the murder of Crown Prince Sado. Sado was born mentally ill and often killed servants during fits of rage. 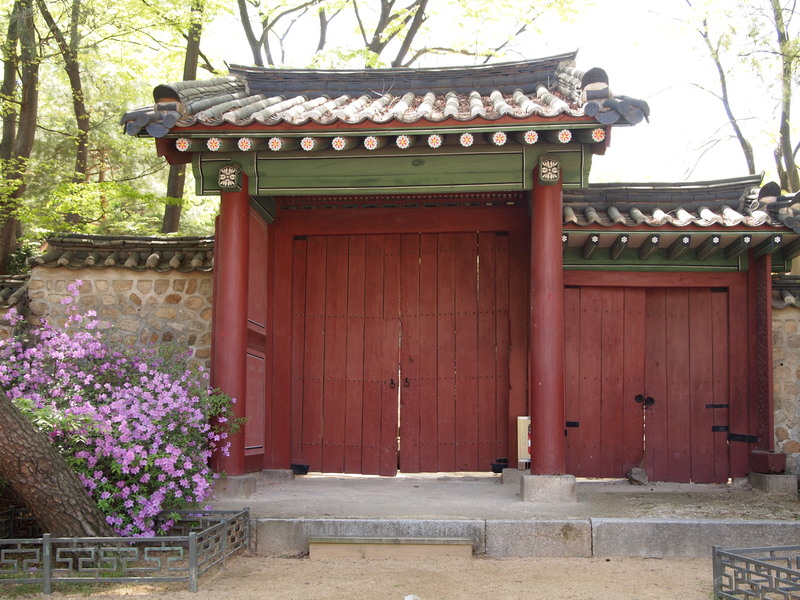 The family worried about the consequences of allowing him to rule, so his father, King Yeongjo, locked him in a rice chest where he starved to death. 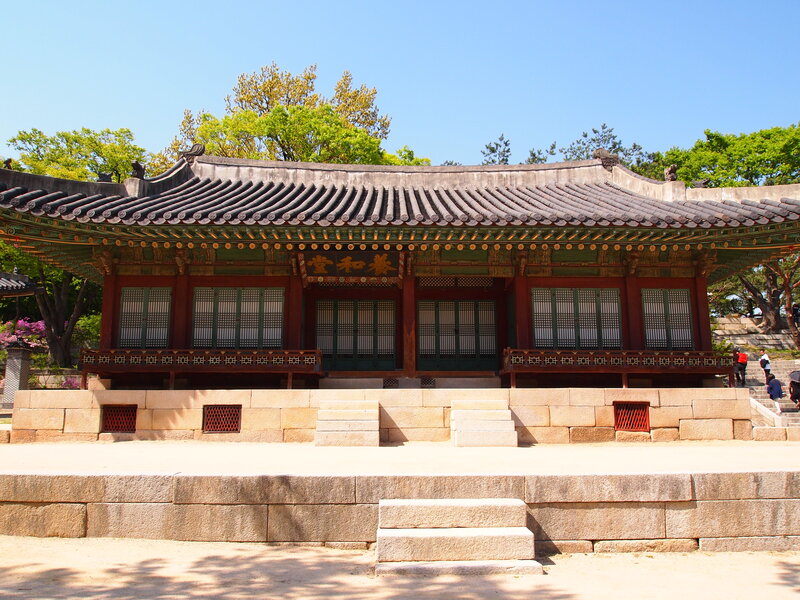 Sado’s son, Jeongjo, succeeded Yeongjo and became a respected ruler of the Joseon Dynasty. 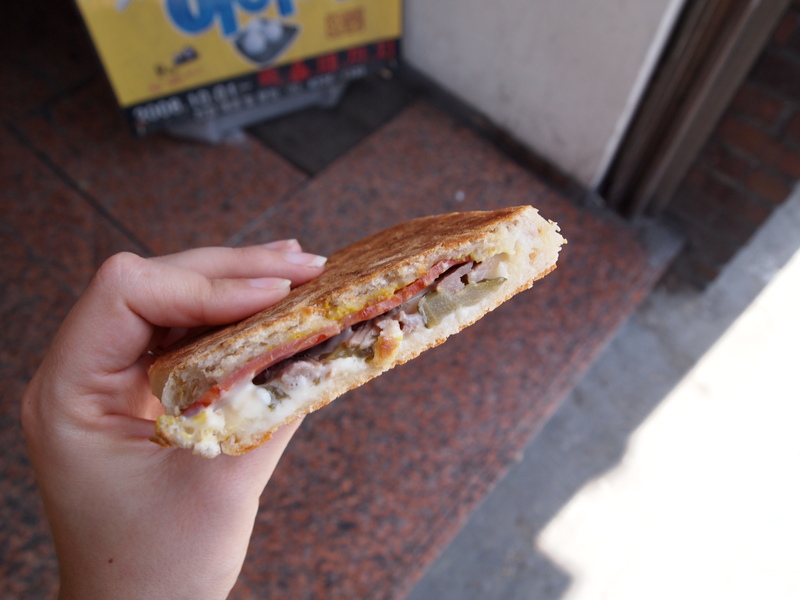 On our way to Changgyeonggung we discovered a small cuban shop, The Ultimate Cuban Sandwich, and bought a sandwich to split. 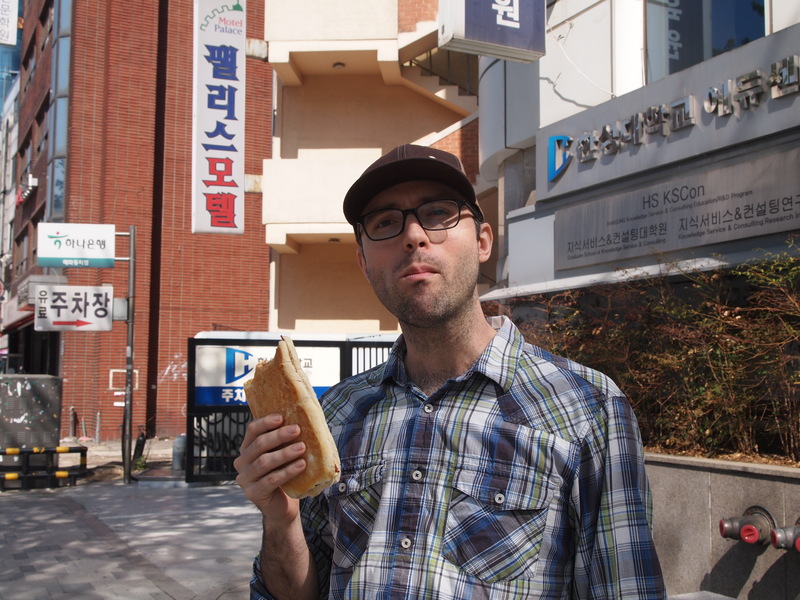 We enjoyed our first one so much that on our way back to the subway we each bought a whole sandwich to eat! One thing we really miss about Austin is the sandwich diversity. 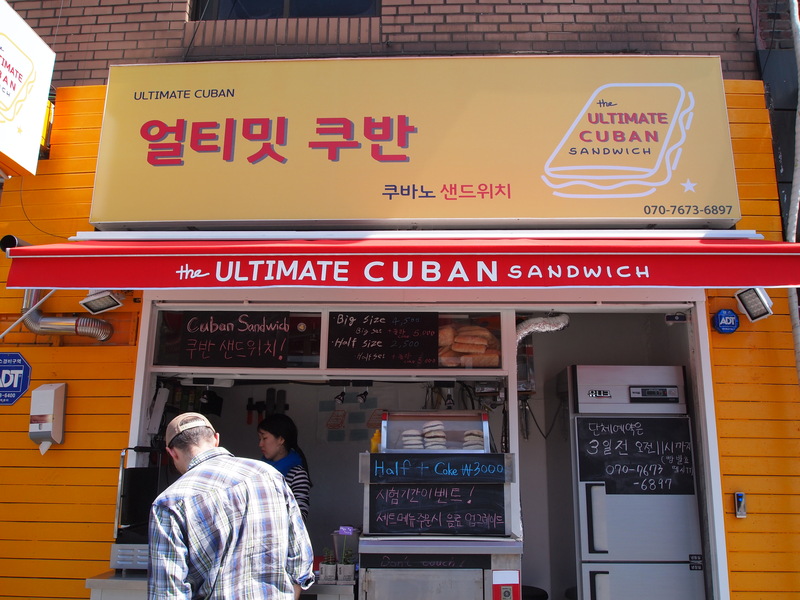 Here our best bet is Subway… pretty sad statement. 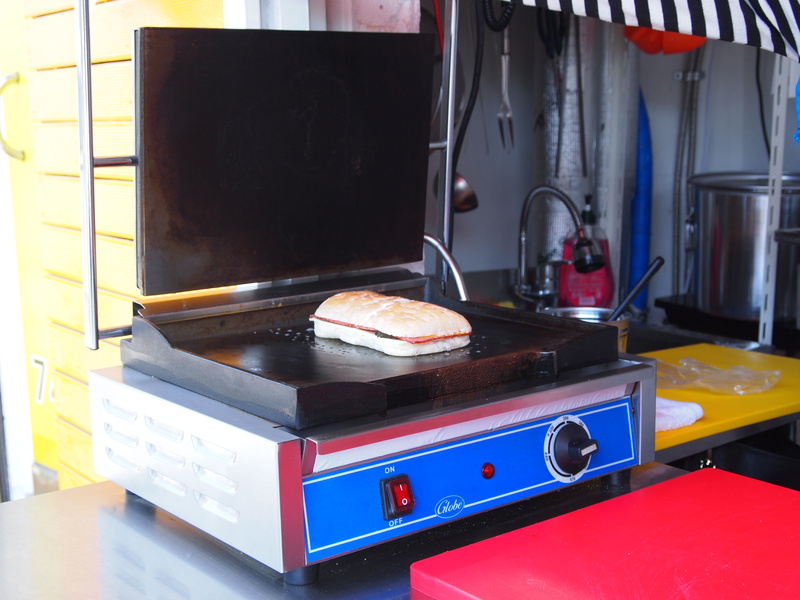 So the discovery of a tasty sandwich was a huge victory! 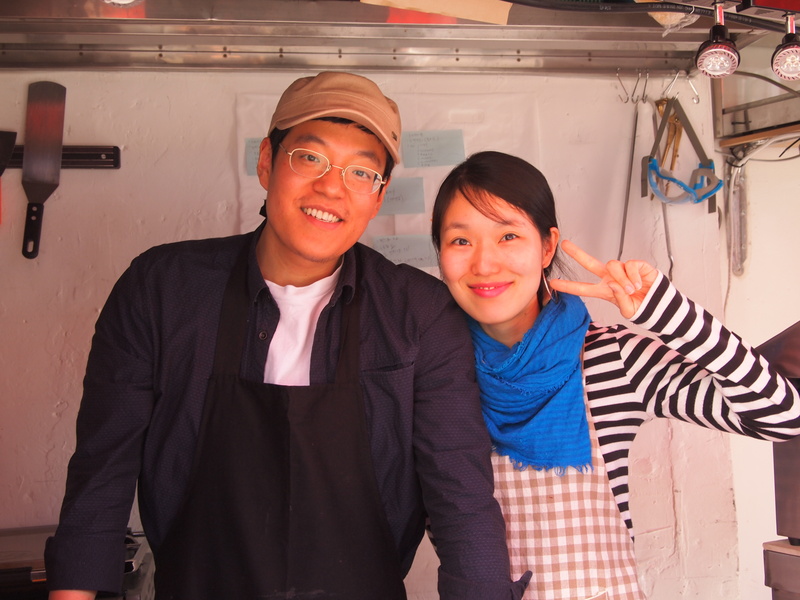 We may even visit them again before we leave Korea.